5th Gear is a company that provides reliable and flexible self drive minibus hire solutions in the UK. This company also offers its services in throughout the UK and delivers its minibuses to any location in mainland UK. This feature ensures that customers can save their precious time by not having to visit the rental office in order to collect their minibuses. 5th Gear is an excellent self drive minibus hire company that offers a range of minibuses on hire including fifteen and seventeen seat minibuses. Each of these minibuses is service checked before leaving the rental depot and will normally not have travelled for more than fourteen thousand miles. You can get an instant quote for daily hire and also for weekly hire and without any hidden charges or nasty surprises. The rental prices charged are inclusive of unlimited mileage, CDW, breakdown cover as well as VAT. When you deal with 5th Gear you are dealing with a self drive minibus hire company that offers cheapest rates and new model minibuses. You can contact this self drive minibus hire company by calling 01738 450 440 or you can send the company an email. H & H Self Drive Van Hire is a London based company that offers a variety of solutions for those who wish to hire a self drive minibus in the UK> this company has been providing its services since 1994 and has over all these years expanded to become a very successful rental company. The company operates from its base in North London and takes pride in the quality of its fleet that consists of more than seventy vehicles (including many minibuses). The cost of renting a fifteen seater minibus is 84 GBP per day plus VAT. To hire this minibus on the weekend you will have to pay 168 GBP plus VAT and for weekly hire, the rates charged are 420 GBP plus VAT at the rate of 60 GBP per day. You can also hire this minibus for an entire month by paying 1533 GBP plus VAT at the rate of 50.40 GBP per day. To know more about this and other minibus hire options you will need to contact the company by calling 020 7916 6616. To drive this minibus you must be at least 25 years of age and not older than 70 years and you must be in possession of a valid (full) UK drivers license for more than two years. Admiral Self Drive Van Hire is a minibus and van rental company that operates from Walsall in the West Midlands. 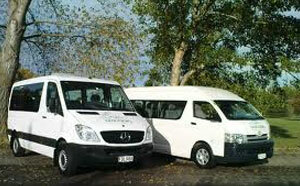 It is a company that specialises in all kinds of self drive minibus hires and provides these at very competitive prices. To know more about the various self drive minibus hire options you can call the company on their free-phone number 0800 197 8875 and you can also visit their office in person at Unit 8, Maple Leaf Industrial Estate, Bloxwich Lane, Walsall West Midlands WS2 8TF.